The 10 Best Brunches in O.C. Home 2017 The 10 Best Brunches in O.C.! Welcome to the new brunch. 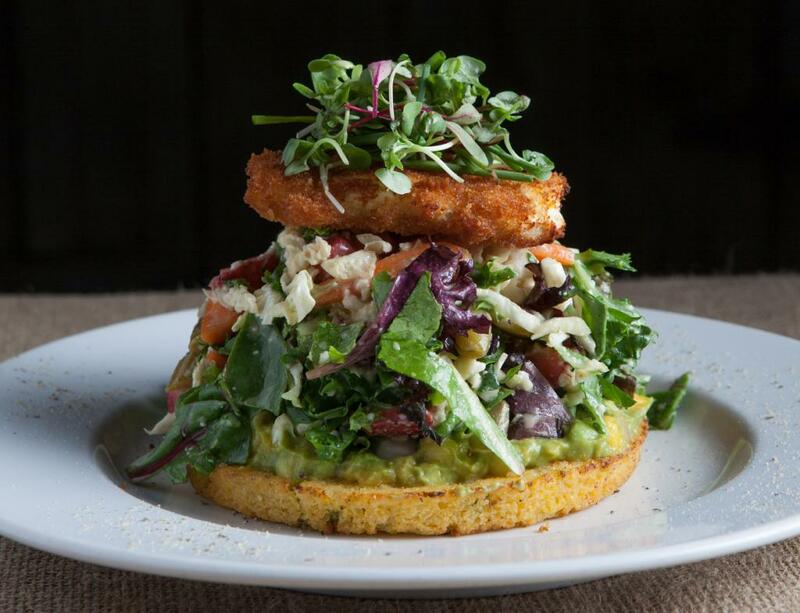 This hybrid meal that combines breakfast and lunch is no longer the bore it used to be. 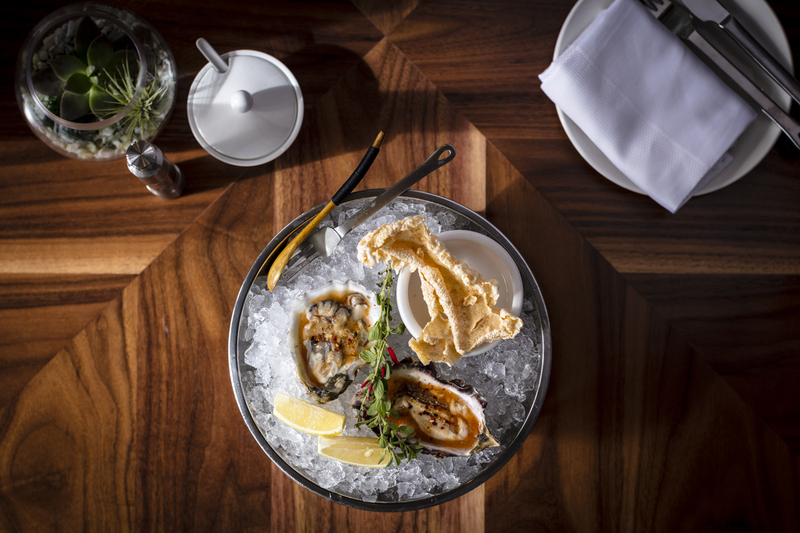 In Orange County, it has been reinvented by a new class of restaurants that offer chef-driven dishes, craft cocktails, and good reason to while away the better part of a day. Every visit to this South County favorite is like a snapshot of a restaurant in perpetual culinary motion. The constant evolution is the work of chef Dee Nguyen, who occasionally even twists and tweaks his most revered dishes—a different sauce here, a fresh plating idea there. Still, some dishes are enshrined on the menu. Take his play on bacon and eggs: thick-cut, house-cured pork belly orbited by crisp-runny tempura eggs, a Korean-spiced slaw, and kimchi crema. The boundary-busting creativity seems almost effortless (consider the wild boar blood sausage spiced like a breakfast link), especially for a restaurant as unassuming as this. But it’s a testament to the chef’s vision and the kitchen’s skill that all is expertly executed. It’s what keeps diners coming from all corners of the county, packing the shaded (though spartan) patio, and filling the church pews repurposed as benches. If it’s not the inventive soju-based cocktails that make you a regular, then it just might be the cast-iron cinnamon bun, drizzled with potent espresso syrup. When late morning sets in at OC Mix, the sunlight hits Restaurant Marin just right: crisp whites seem impossibly bright, deep blues glint like the depths of a still sea. Although this tiny, elegant restaurant from Noah Blom and Marin Howarth serves breakfast all day, it’s also the county’s best all-day diner. Like its sibling Arc next door, it runs solely on wood-fired cooking, a feat all the more impressive when you taste its modern American classics: a crab cake Benedict built with thick brioche; duck hash slicked with romesco and showered with queso fresco; and small but fluffy and filling blueberry pancakes toppling over like dominoes. These are the dishes of our youth as we wished them to be, from the flaky, latticed chicken potpie to the surprisingly tender meatloaf. Space is at a premium here, but a short wait affords the chance to marvel at the cakes—huge, decadent things displayed under glass to remind you of their artistry. Chef Ross Pangilinan’s Mix Mix is a humble stunner. The restaurant is home to some deliciously refined cooking, especially at brunch, when dishes elsewhere are often dulled down. Take the plate of roasted broccoli kissed with smoky Korean gochujang and bejeweled with wedges of citrus. Or the chitarra, pasta twirled in a sea of urchin-lemon butter and flecked with Calabrian chile. Even the essentials get chef-driven twists. A vegetable omelet nearly wobbles on the plate in a perfect, fluffy fold. 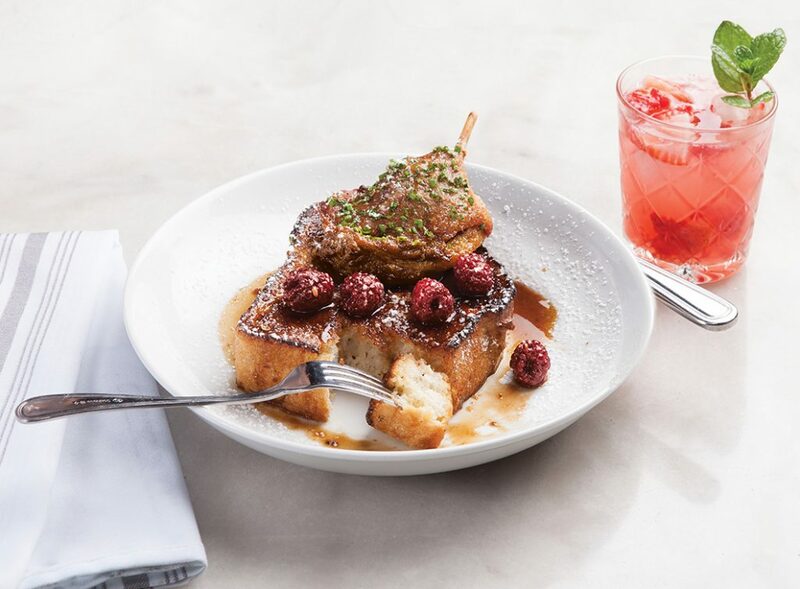 A thick slab of French toast is crowned with a duck leg dressed with five spice-infused maple syrup and a Sichuan pepper-cider jus. The space is sunny and comfortable and as likely a destination for celebratory friends as studious foodies. You must finish with the tropical verrine (the chef’s spin on Filipino halo-halo), made better at brunch with sips of Sunday Smash—bourbon or vodka with muddled berries, mint, lemon, and powdered sugar. It can sometimes feel like a forested hideaway, shrouded behind trees and clad in weathered wood like much of The Camp. But the rustic restaurant is no mountain mystery—it celebrated its 10th anniversary in July and has long served one of the county’s best, most popular brunches. The menu is globally inspired: a slow-cooked beef tongue omelet with queso fresco and tomatillo salsa, house-baked biscuits smothered in an Italian sausage-pancetta gravy, braised rabbit sauced with a pasilla chile-cashew mole. 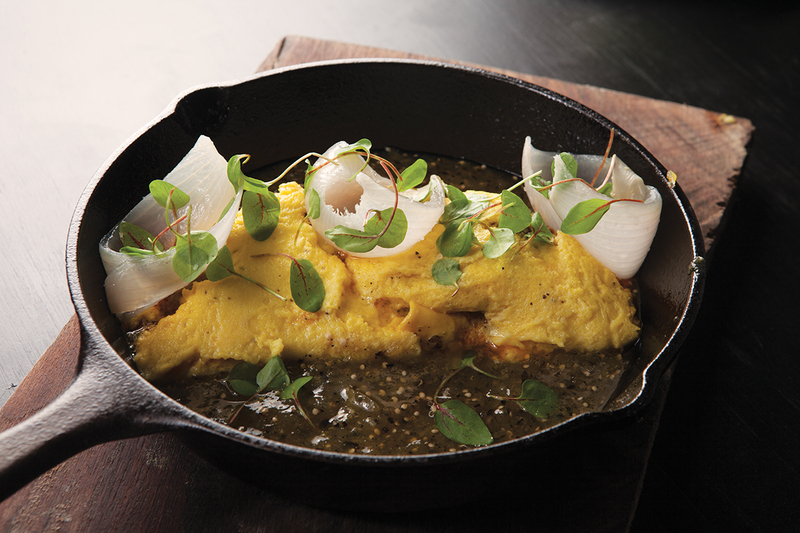 Chef-owner Mark McDonald’s team is particularly adept at omelets, like the aforementioned lengua, and the Reuben omelet stuffed with pastrami, Gruyère, and sauerkraut. Wine is a hallmark here, so consider a glass of it instead of a cocktail. Find something sparkling to pair with one of the sweets, too, perhaps the tender banana-pecan crepes loaded with caramelized bananas and a light ricotta mousse. There’s always a wait, but it provides the necessary time to whittle down your choices as you watch every delicious-looking dish emerge from the kitchen. Omelet with lamb barbacoa, wild cilantro, onion, and salsa aguacate at El Mercado. It’s only natural that El Mercado has a standout brunch—chef Danny Godinez’s growing restaurant empire all but began with his legendary chilaquiles at the tiny Anepalco Café in Orange. Godinez strikes a more modern tone at his latest spot. There’s an open-faced, chile-soaked pambazo stuffed with chorizo-spiced pork loin, black bean puree, lettuce, jocoque (a Mexican buttermilk), and crispy shards of potato. It might be the most elegant pambazo we’ve ever seen. Steak and eggs are pure simplicity: skirt steak armored with char, soft scrambled eggs, and coins of roasted potatoes atop a smear of spicy salsa. Sharing is encouraged, and is often on display here. Brunch also brings access to El Mercado’s full bar, a trove of inventive tequila- and mescal-leaning cocktails (try the frothy, citrus-scented Mario’s Fizz) that are unlike anything else in these parts. They’re potent, but can be tempered by fluffy buttermilk pancakes slicked with burnt pilonsillo-maple syrup. There’s no other restaurant in the county that captures the exact magic that makes Ramos House special. Dining here can feel like living history, a preserved piece of early Orange County on California’s oldest residential street. At brunch, the charming patio fills with small celebratory parties, couples out to stroll through the nearby gardens and shops, and visitors passing through en route to the mission. 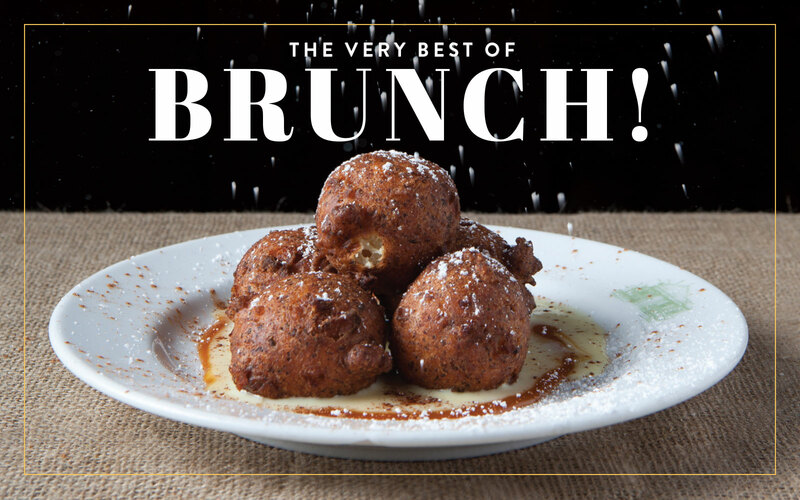 The cooking recalls a sort of California-inflected Southern cuisine, and the weekend prix-fixe brunch allows for a drink of your choice (perhaps a citrus fizz or hot coffee) plus an appetizer and entree. Most diners begin with the apple-cinnamon beignets, airy orbs still warm from the fryer and surrounded by a pool of crème anglaise. If there’s still a sting to the cool morning air, try a cup of Hoppin’ John instead, that Southern staple of black-eyed peas and rice. The crab hash alone is reason to visit Ramos House: lumps of crab scrambled with smoky, bacon-infused eggs, buried under a pile of sweet potato strings. There’s so much that’s memorable here, enough to make one of the finest and most authentic morning meals you can find. It’s easy to overlook Plums Café. It’s squeezed into the back corner of a strip mall, seating spilling forth from the clean, modern dining room and onto a sprawling patio. But the restaurant’s iconic Pacific Northwest-inspired cooking is as good as ever. 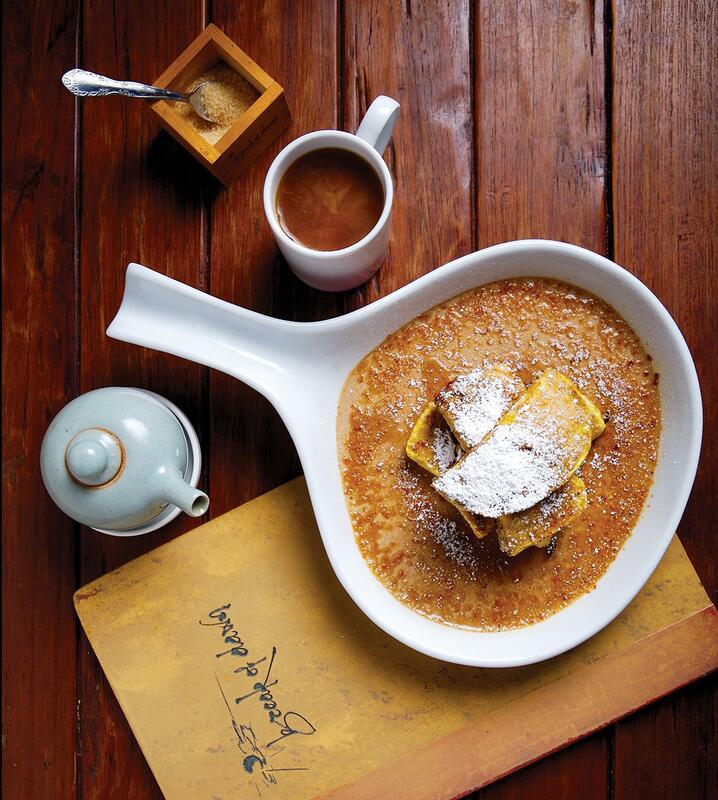 At brunch, this means a billowy Dutch baby pancake nearly as tall as a soufflé. Or the cornmeal-crusted campfire trout with two eggs, thick strips of Oregon pepper bacon, roasted potatoes, and toast. The smoked salmon hash enrobed in dill hollandaise, and shirred eggs drizzled with Parmesan cream and tomato relish are perpetual favorites. Cocktails aren’t exactly de rigueur here, but there are standouts such as the Breakfast Old Fashioned with candied pecan-infused bourbon, and the refreshing Hibiscus Mule with vivid hibiscus tea, tequila, lime, and fresh ginger syrup. There’s always a crowd: multigenerational families gathering for the day, young friends recapping their weekend. And it’s no wonder—Plums is a rare place that offers a uniquely pleasant experience. If you’re familiar with this vegan chain, you know about its insistence on naming dishes after positive affirmations. 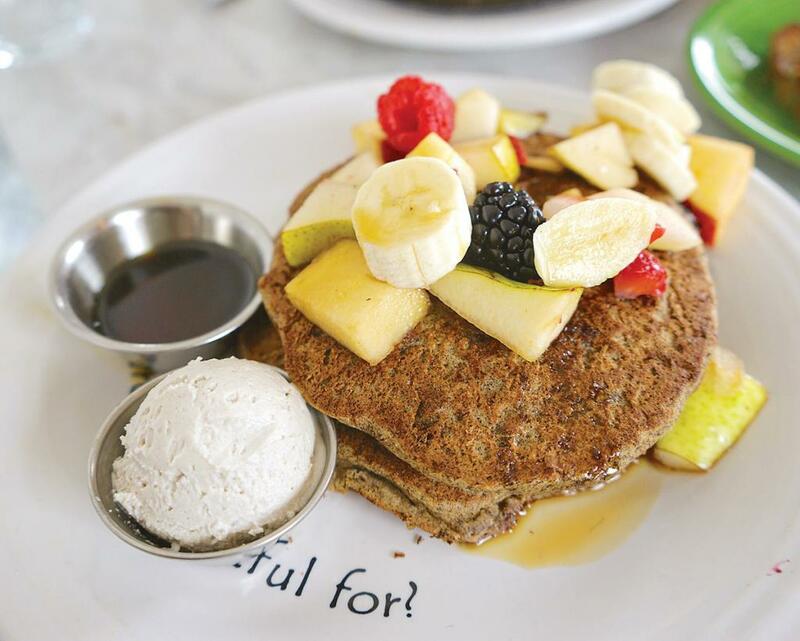 This means that to order a stack of toasty buckwheat-flax pancakes, you must proclaim, “I am open-hearted.” But if you look past this feel-good convention, you’ll find truly commendable plant-based cooking. The rosemary-flecked butternut squash dip is a nice way to start. But soon it’s on to the cast-iron chickpea “quiche,” a spin on the Italian chickpea pancake known as socca, dressed here with kalamata olives, tomato, red onion, and almond romesco. Even simpler favorites such as the breakfast burrito, barbecue Portobello panini, and gluten-free banana bread are excellent. The decor is minimalist boho chic, the defining style of design-minded naturalists, and it makes for a striking space with a lovely patio. But what really sets this location apart is its inventive bar. Drinks are created by L.A. bartender Jason Eisner, who has designed a menu of genre-defining organic cocktails that play with the often tart, vegetal flavors of cold-pressed juice and health-minded additions, such as cannabinoid oil. They’re a perfect post-yoga indulgence. As soon as you enter Bluegold, the ocean comes into view. The vista from atop Pacific City is stunning. Chef Tin Vuong has worked hard to create a concept that keeps pace. The menu is a sprawling, globe-trotting experience, with enough categories to keep your interest. Where this variety can sometimes cause dinner to falter, it emboldens brunch. Take the shakshuka, a Middle Eastern dish of eggs baked in a smoky, spicy, tomato-pepper sauce, served with a crusty, chewy flatbread fresh from the wood-fired oven. Or experience a bloody mary oyster shooter and dip cool, giant shrimp into gin-infused cocktail sauce. Sandwiches are generally huge affairs, like the towering and pork-packed Cubano. You might see a couple trying to tackle one together. Dessert is best served by the granola French toast—dense, granola-studded bread slathered with whipped ricotta, dotted with goji berries, and hit with honey and almonds. But sometimes all you need is that view. Sometimes a light, breezy brunch isn’t what you need. On those weary post-party mornings, Grits in Fullerton has the over-the-top comfort cooking that cures what ails you—although lighter classics are offered as well. 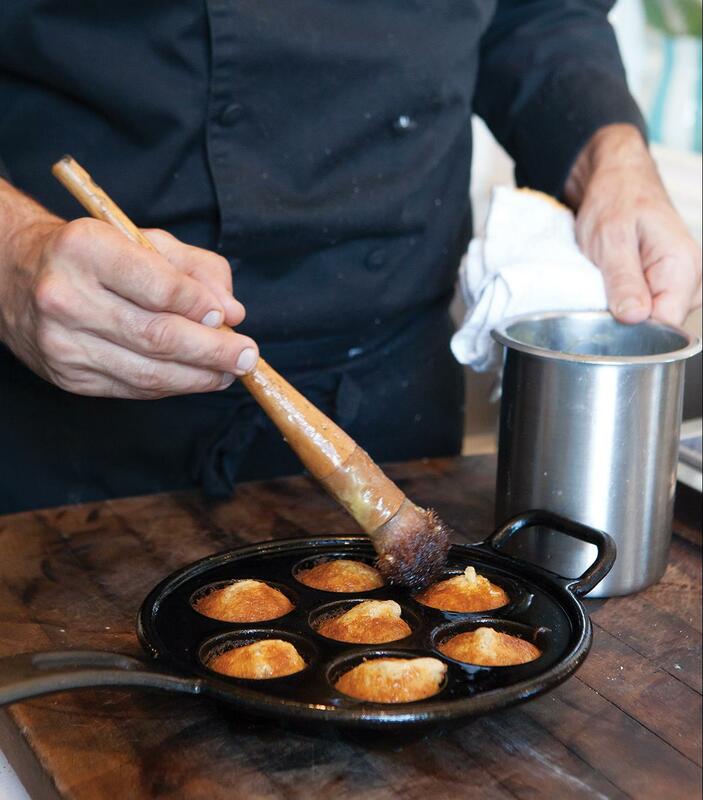 The meaty menu has evolved since itinerant chef Cody Storts commanded the kitchen early on, but the food’s refined, Southern-fried soul remains. The Thai waffle stack is a signature—a teetering tower of crisp waffles and crunchy, fried pork cutlets drizzled with a sweet umami bomb of fish sauce-infused maple syrup. There’s a fine steak and eggs with rosy hunks of tri-tip and a Dr Pepper-braised pork shank set atop a creamy pool of the restaurant’s namesake grits. It’s usually a feat to finish one of these dishes alone, and so the diners, many college age, often share. And that’s the right idea. 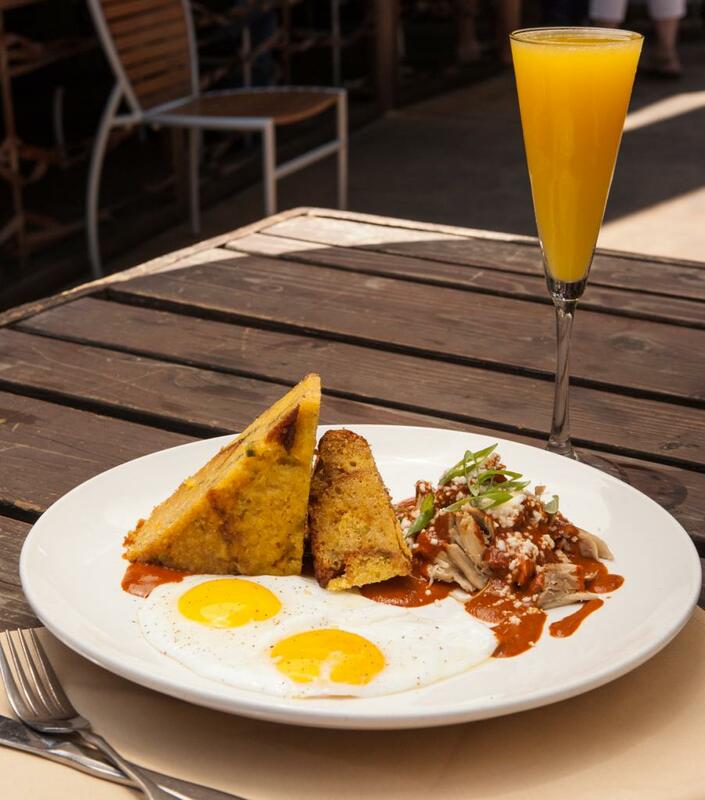 With a beer by your side (no hard liquor here) and a friend in tow, you’ll finally be able to divide and conquer both the California French omelet, slicked with avocado-coconut puree, and the bread pudding French toast, dressed with cinnamon pastry cream.